This isn’t a typical war film. The above-mentioned multiple timelines aren’t anything I recall seeing previously in a historical piece. It’s intense and brutal and beautiful. It’s short on the “King and Country” patriotic rhetoric, and long on the desperate individual doing whatever they need to in order to survive. It has poignant moments of people doing terrible things; moments that made me wonder if I wouldn’t have done the same thing in the same situation if it meant my own personal life or death. Historically speaking, it seems accurate to me, but I honestly haven’t studied much about Dunkirk. Uniforms look correct, the aircraft are close enough. I could tell that at least one of the ships isn’t period accurate, but honestly I didn’t care. Is it an artistic film? Yes. Does the historical aspect of the film suffer due to artistry? Not at all. In fact, it enhances the experience. I’ve read sharply divided reviews: people love this film or hate it. I’m obviously in the former camp. My recommendation is that if you have ANY interest in seeing it, don’t wait for Blu-ray. See it in the theater, on the biggest screen you can; IMAX is great, 70mm if at all possible. 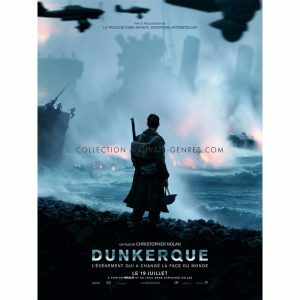 This film isn’t about the overall battle at Dunkirk, it’s about what it was like for a few individuals to experience the little life and death moments that made up the bigger picture. As such, the big screen and accompanying sound gives one a true immersive experience as to what it must have been like to be trying to get off that beach.